30/09/16 -- Soycomplex: Soybeans closed higher in two-sided trade. The USDA pegged Sept 1 stocks at 197 million bushels, fractionally lower than the average trade guess but marginally higher than the 195 million estimated previously. Last year's soybean production was lowered to 2.82 million bushels on a downward revision in harvested acres. Now that this is out of the way the trade will be looking forward to the USDA crop production report on Oct 12. A Bloomberg survey into trader/analyst sentiment found only 3 soybean bulls, 9 bears and 7 neutrals. The USDA reported the sale of 118,000 MT of soybeans for delivery to China and 198,000 MT for delivery to unknown destinations, both for delivery during the 2016/17 marketing year, under the daily reporting system. Nov 16 Soybeans settled at $9.54, up 3 3/4 cents; Jan 17 Soybeans settled at $9.59 1/4, up 3 cents; Oct 16 Soybean Meal settled at $297.90, unchanged; Oct 16 Soybean Oil settled at 33.24, up 15 points. For the week front month beans were a cent lower, meal fell $5.30 and oil was down 7 points. 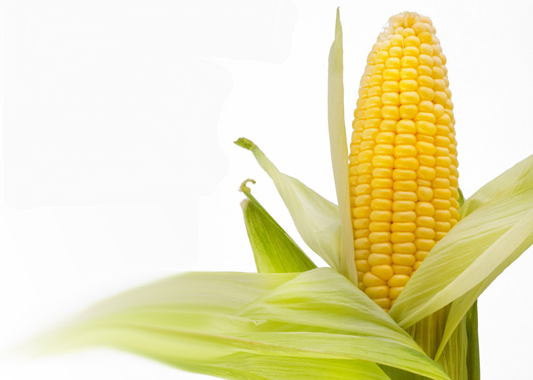 Corn: The corn market closed around 7 cents higher on the day and fractionally better for the week. The USDA estimated Sep 1 stocks at 1.737 versus an average trade guess of 1.754 billion. Some in the the trade had been prepared for an even larger number, so this was viewed as mildly friendly. China are reported to have authorised 2 MMT of corn exports in the coming year. the first exports of any volume in a decade as they increase their efforts to reduce their huge stockpiles. Another government auction of 2.4 MMT today met with virtually zero response. South Korea are reported to have been busy buying corn the past few days with KFA booking 120 TMT of optional origin for Jan/Feb shipment, MFG buying 69 TMT of optional origin for Jan shipment and NOFI taking 134 TMT of optional origin. The Buenos Aires Grain Exchange report Argentine corn at 21.5% planted, up from 15.2% a week ago. Dryness there remains an issue. A Bloomberg survey into trader/analyst sentiment found only 4 corn bulls, 7 bears and 8 neutrals. Dec 16 Corn settled at $3.36 3/4, up 7 1/2 cents; Mar 17 Corn settled at $3.46 1/2, up 7 1/2 cents. For the week Dec 16 corn was up 1/4 of a cent. Wheat: The wheat market closed mixed on the day and for the week. The USDA put Sep 1 all wheat stocks at 2.527 billion bushels, larger than the average trade guess of 2.438 billion. These are the highest Sep 1 US wheat stocks levels since 1988. Total wheat production was 2.309 billion bushels. Bearish numbers, yet still the market managed a rally, helped by rising corn and beans. The USDA's FAS in Turkey cut the wheat crop there to 17.25 MMT (19.50 MMT a year ago) due to drought. Imports in 2016/17 were estimated up 25% at 5.0 MMT. Russia will likely be the main beneficiary of that. SovEcon estimated Russia's 2016/17 grain exports at a record 40 MMT, with wheat hitting an also all-time high 31 MMT. Russia said that they'd harvested 75 MMT of wheat so far off 96.6% of plan. Ukraine said that they'd exported 6.47 MMT of wheat so far this season. Morocco tendered for 130,000 MT of soft wheat. A Bloomberg survey into trader/analyst sentiment found 5 wheat bulls, only 3 bears and 11 neutrals. Dec 16 CBOT Wheat settled at $4.02, up 3 cents; Dec 16 KCBT Wheat settled at $4.15 1/2, down 1 3/4 cents; Dec 16 MGEX Wheat settled at $5.14 1/2, up 4 3/4 cents. For the week Chicago wheat was down 2 3/4 cents, Kansas was 6 cents lower and Minneapolis rose 10 3/4 cents. 30/09/16 -- EU grains closed mostly lower on the day and mixed for the week. Trade largely continues to be confined to a sideways pattern. The day ended with Nov 16 London wheat up GBP0.05/tonne at GBP127.05/tonne, Dec 16 Paris wheat was down EUR1.25/tonne at EUR160.50/tonne, Nov 16 corn was also EUR0.25/tonne lower at EUR160.25/tonne and Nov 16 Paris rapeseed was down EUR1.00/tonne to EUR375.75/tonne. For the week London wheat was GBP0.35/tonne higher, Paris wheat was down EUR0.75/tonne, corn was EUR2.50/tonne lower and rapeseed was unchanged. London wheat is up GBP4.10/tonne for the month on a front month basis and Paris wheat is up EUR5.50/tonne. Corn is up EUR0.50/tonne and rapeseed is up EUR3.00/tonne. Not a lot has changed this week. Talk of possible quality issues to Canadian wheat caused by rain, and Australian wheat caused by frost/rain, continue to circulate. Russia's harvest is nailed on the be record this year, although there are whispers over wheat quality there too. As far as the harvest goes, that currently stands at 111.1 MMT off 90.3% of the planned area, according to the Ag Ministry. That includes 75.0 MMT of wheat (96.6% harvested), 18.7 MMT of barley (95.5%) and 3.3 MMT of corn (22%). All those weights are before cleaning and screening. The head of the Ag Ministry said that this year's harvest was "outstanding" and predicted a final clean weight total of 113-116 MMT "maybe more". Plantings for next season are 65.4% complete on 11.3 million ha. SovEcon forecast Russia's 2016/17 grain exports as high as 40 MMT, including 31 MMT of wheat. Both figures would set new records. Ukraine are also chipping away at the old block, bringing in a grain harvest of 43.6 MMT so far (76% complete, including 4.8 MMT of corn off 22% of the planned area. Autumn dryness though means that total winter grain plantings have only been completed on 3.14 million ha, some 334k ha less than this time last year which was also a year badly affected by drought. Wheat is 47% sown on 2.93 million ha and barley 11% done on 110k ha. 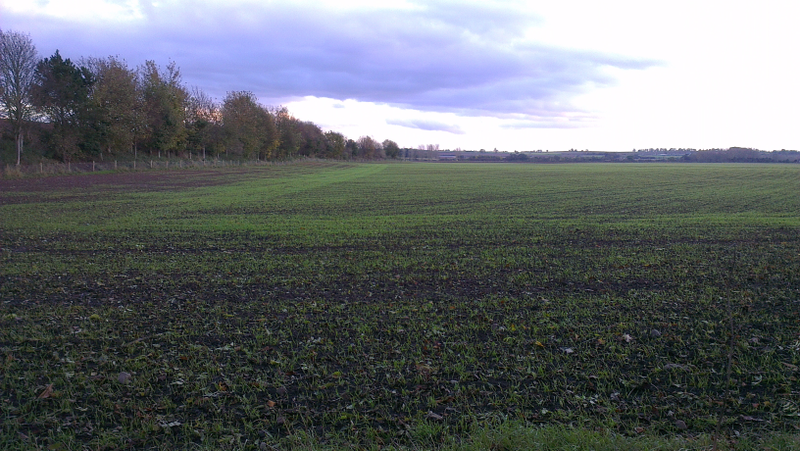 Winter rapeseed has been sown on 712k ha, or 98% of the planned area. Emergence is said to be a problem. Ukraine's grain exports so far this season stand at 10.22 MMT, of which 6.47 MMT is wheat, 3.11 MMT barley and 602 TMT corn. Drought has cut this year;s Turkish wheat crop to 17.25 MMT (from 19.5 MMT a year ago), said the USDA's FAS. Barley production is down 36% to 4.75 MMT from 7.4 MMT. Turkey is a big importer of Russian grain. Algeria is another country where drought has cut production this year. The 2016 wheat crop is seen at 2.0 MMT, down 26% from 2.7 MMT in 2015, and barley production has fallen 23% to 1.0 MMT. Imports are estimated steady at 8.0 MMT of wheat and 0.9 MMT of barley, say the FAS. FranceAgriMer left the proportion of the French corn crop rated good to very good unchanged at 54% (56% a year ago which was also a poor year). The harvest is 4% complete (7% a year ago). 29/09/16 -- Soycomplex: Beans closed higher helped by strong weekly export sales of 1,692,800 MT for 2016/17 being reported for China (833,600 MT) and unknown destinations (528,800 MT) among others. Trade estimates were for sales of 1.0 and 1.4 MMT. In addition, there were also sales of 120,000 MT of soybeans for delivery to China during the 2016/17 marketing year announced under the daily reporting system. The IGC raised their forecast for the global soybean crop by 4 MMT to 329 MMT, essentially due to increased production in America (now seen at 113 MMT). World ending stocks were however lowered 2 MMT to 29 MMT. Abiove estimated Brazil's crop at 101.3 MMT, with exports at 57 MMT. The USDA are 100 MMT and 58.4 MMT respectively. The USDA's quarterly stocks report tomorrow could provide further direction in this market which is trying to balance strong demand against record US production. Nov 16 Soybeans settled at $9.50 1/4, up 4 3/4 cents; Jan 17 Soybeans settled at $9.56 1/4, up 4 1/4 cents; Oct 16 Soybean Meal settled at $297.90, down $1.80; Oct 16 Soybean Oil settled at 33.09, up 45 points. Corn: The market closed around unchanged levels. Weekly export inspections of 575,000 MT were reported for 2016/17. That was at the low end of expectations of 0.5 to 1.0 MMT. Exports of 1,261,500 MT were reasonably robust however. The IGC cut the world corn crop by 3 MMT to 1027 MMT where "overly dry weather has affected crop prospects in the EU and China". They cut the EU to 59.5 MMT from 61.6 MMT previously, but still up from 58.2 MMT a year ago. China was lowered 2 MMT to 217 MMT. World ending stocks were down 2 MMT to 216 MMT. China offered another 4.7 MMT of reserve corn but found hardly any interest. Russia said that it's 2016 corn harvest was 21.2% complete at 3.2 MMT in bunker weight. Ukragroconsult lowered their forecast for Romanian corn production by 850 TMT to 8.1 MMT due to long-term drought. The size of the already large spec fund short in corn is a downside limiter for now, Tomorrow's stocks report isn't thought likely to be a "game changer" for corn, but you just never know with the USDA. Dec 16 Corn settled at $3.29 1/4, unchanged; Mar 17 Corn settled at $3.39, also unchanged. Wheat: The wheat market closed mixed. Weekly export sales of 570,800 MT for delivery in marketing year 2016/17 were up 2 percent from the previous week and 20 percent from the prior 4-week average. That was in line with trade estimates of 400,000 MT and 650,000 MT. Exports of 843,400 MT were a marketing-year high, up 53 percent from the previous week and 36 percent from the prior 4-week average. Japan also bought 125,800 MT of US/Canadian wheat in their regular weekly tender. There's some talk that wheat stocks could be lower than many in the trade anticipate in tomorrow's report due to increased wheat feeding as the wheat/corn price differential is relatively narrow. The average trade guess for stocks tomorrow is 2.438 billion bushels. There's increased talk of crop losses/quality damage to Australian wheat due to frost in the west and excessive wetness in the east. The IGC raised their forecast for the 2016/17 global wheat crop by 4 MMT to 747 MMT. Carryover stocks were increased 2 MMT to 231 MMT. Dec 16 CBOT Wheat settled at $3.99, down 4 1/4 cents; Dec 16 KCBT Wheat settled at $4.17 1/4, down 4 cents; Dec 16 MGEX Wheat settled at $5.09 3/4, up 1 1/4 cents. 29/09/16 -- EU grains closed mostly higher, but still largely trapped in a sideways move. Nov 16 London wheat staged it's best close in more than a month helped by sterling weakness. At the close Nov 16 London wheat was up GBP0.80/tonne at GBP127.00/tonne, Dec 16 Paris wheat was EUR0.75/tonne higher to EUR161.75/tonne, Nov 16 Paris corn was EUR0.50/tonne firmer at EUR160.50/tonne, Nov 16 Paris rapeseed was EUR3.00/tonne better at EUR376.75/tonne. Brussels approved 468 TMT worth of soft wheat export licences this past week, taking the season so far total to 6.35 MMT, a 23% increase on this time last year (although note that the rate of increase was 25% just last week). Barley exports at 8 TMT were less impressive. The season to date total for those is only 1.19 MMT, some 65% less than this time last year. The growing theme for the global wheat market is one of rising production (although not here in Europe), but not necessarily for quality milling wheat which many think could be in a shortage situation this year. Underlying this theme, the IGC today raised their forecast for the 2016/17 global wheat crop by 4 MMT to 747 MMT. "The outlook for wheat is again cut for the EU, but this is outweighed by increases for Australia, Canada, China and Kazakhstan," they said. Carryover stocks were increased 2 MMT to 231 MMT. The EU-28 soft wheat crop was placed at 143.6 MMT, down from 145.2 MMT previously and down 10% versus 159.8 MMT a year ago. EU-28 ending stocks were cut from 13.2 MMT to 11.6 MMT (15.5 MMT a year ago). The head of the Russian Grain Union estimated grain production in bunker weight there this year at 124 MMT (or 115 MMT in clean weight). The clean weight total will include 72,5 MMT of wheat, he said. Grain export potential in 2016/17 was pegged at 30 MMT. Whether they achieve this potential is another matter however. Cumulative exports so far are 7% below year ago levels. The Russian harvest officially stands at 100.4 MMT (89.4% done) in bunker weight, including 74.6 MMT of wheat (95.7% harvested), 18.7 MMT of barley (95.4%) and 3.2 MMT of corn (21.2%). Plantings for the 2017 harvest are said to be 64% complete on 11.1 million ha. Ukragroconsult said that the pace of Ukraine autumn/winter planting is behind both last year and the 5-year average due to dryness in parts of the country. According to the government growers there will plant 7.37 million ha of winter grains (mostly wheat) and 724k ha of winter OSR. They also peg Romania's corn crop at 8.1 MMT, down 850 TMT on their previous estimate due to long-term drought. 28/09/16 -- Soycomplex: Beans closed lower. The move came despite the USDA reporting sales of 133,000 MT of soybeans for delivery to China and 211,171 MT of soybeans for delivery to unknown, both for 2016/17, under the daily reporting system. So, demand is good at these near 5-month lows. The trade is looking for this to be backed up by weekly export sales of 1.0 and 1.4 MMT for beans tomorrow. Then all eyes will be on Friday's quarterly stocks report, with old crop Sep 1 bean inventories expected to come in around the 200 million bushel mark. Palm oil futures in Malaysia were lower overnight. Northern areas of Brazil remain very dry. Things are better in the south. Argentina is cold and dry. 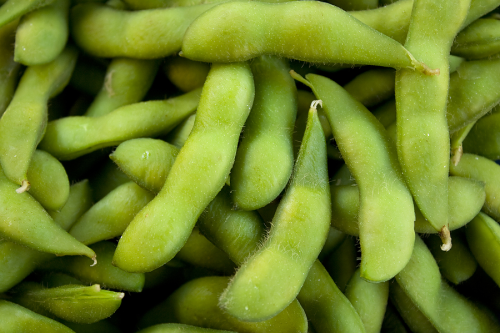 Nov 16 Soybeans settled at $9.45 1/2, down 7 cents; Jan 17 Soybeans settled at $9.52, down 6 3/4 cents; Oct 16 Soybean Meal settled at $299.70, up $0.40; Oct 16 Soybean Oil settled at 32.64, down 48 points. Corn: Corn closed lower despite the USDA announcing a monster sale of 1,577,340 MT of US corn for delivery to Mexico under the daily reporting system. Of the total 1,036,320 MT is for delivery during the 2016/17 marketing year and 541,020 MT is for delivery during the 2017/18 marketing year. The US Energy Dept reported ethanol production up 8,000 barrels per day to 989,000 bpd last week. The average trade guess for Friday's USDA Sep 1 corn stocks figure is 1.754 billion bushels. Weekly export sales are forecast around 0.5 to 1.0 MMT. Safras reported Brazilian full season corn planting at 16% complete versus 21% typically at this time. Argentina have taken up the export baton from Brazil and shipped out a record 4 MMT of corn in August (versus only 1.54 MMT a year previously). South Korea's Kocopia were reported to have purchased 55,000 MT of US corn for Jan shipment in a tender. China are reported to have added a 10.7% anti-subsidy tariff to US DDGs imports. 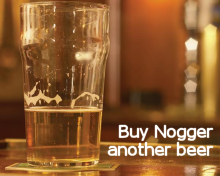 That's on top of the recently introduced 33.8% import duty. Dec 16 Corn settled at $3.29 1/4, down 2 1/2 cents; Mar 17 Corn settled at $3.39, down 2 3/4 cents. Wheat: Wheat closed mixed. The average trade guess for Friday's Sep 1 stocks report is a large 2.438 billion bushels. The market is hoping that the US can pick up some export interest by playing the quality card that seems to be lacking from the hands of other global exporting nations this year. Trade forecasts for tomorrow's weekly export sales report are 400,000 MT and 650,000 MT for wheat. Trade gossip suggests that a problem might be looming for Australian wheat just prior to harvesting, where it's forecast to see temperatures dip below freezing in the most productive west of the country, whilst the east picks up heavy rain. The quality of the Canadian crop is also rumoured to be subpar, leading to an export demand shifting stateside, said FCStone. There's talk too that Russia's crop might be setting production records this year, but that the quality of that too is lower than normal. Argentina reported that it had exported 7.35 MMT of wheat Jan/Aug, double the volume shipped out in the same period in 2015. Dec 16 CBOT Wheat settled at $4.03 1/4, down 3/4 cent; Dec 16 KCBT Wheat settled at $4.21 1/4, up 2 cents; Dec 16 MGEX Wheat settled at $5.08 1/2, up 5 3/4 cents. 28/09/16 -- EU grains closed mixed Wednesday. Markets are moving sideways with little clear direction. The day ended with Nov 16 London up GBP0.45/tonne at GBP126.20/tonne, Dec 16 Paris wheat was down EUR0.50/tonne at EUR161.00/tonne, Nov 16 corn was also down EUR0.50/tonne at EUR160.00/tonne and Nov 16 rapeseed fell EUR1.50/tonne to EUR373.75/tonne. The Russian harvest is now reported to be 88.7% complete at 109.8 MMT. Wheat accounts for 74.2 MMT of that and barley a further 18.6 MMT (both 95% harvested). Corn harvesting is 20.7% complete at 3.1 MMT. Planting for the 2017 harvest is now 63% complete. Winter plantings in Ukraine are slower at around a third done, with some concerns remaining over dryness. 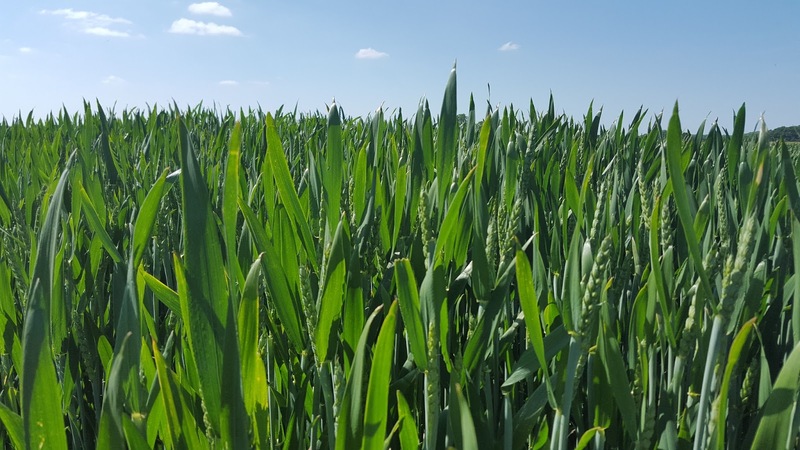 "This is behind the pace seen last autumn when below normal rainfall also hampered planting, and ultimately reduced the area of winter crops, including wheat and rapeseed," noted the HGCA. There's talk of heavy rains in the east, and possible frost damage in the west, causing late problems for Australian crops just prior to harvesting. Temperatures in the west are forecast down to -4C, and parts of the eastern wheat belt could pick up rains of up to 100mm in the next few days, according to media reports. Even if the rain doesn't damage yields then it could certainly lower wheat quality specifications in a year when this seems to be a common theme around the globe. Russia's exports seem to be picking up now that the export duty on wheat has been abolished, with private firm Rusagrotrans forecasting these at 3.7-3.8 MMT in October (of which 3.0-3.1 MMT will be wheat) compared to exports of 3.5 MMT a year previously (of which 2.4 MMT was wheat). Tunisia tendered for 67,000 MT of soft wheat, 42,000 MT of durum and 25,000 MT of feed barley. Argentina is said to have exported 7.35 MMT of wheat in the first eight months of 2016, double the volume shipped out in the same period in 2015. Better production and the removal of export quotas/taxes will have helped. Brazil has been the top buyer. Chicago Grains Stage "Turnaround Tuesday"
27/09/16 -- Soycomplex: Soybeans closed higher, recovering from the 5-month lows hit earlier in the session which triggered bargain-hunting. The USDA announced another 120 TMT of US soybeans sold to China for the 2016/17 marketing year under the daily reporting system. Still, the possibility of further yield increases from the USDA in future WASDE reports remains an upside limiter. There may have been some short covering at the lows today ahead of Friday's stocks report from the USDA and the possibility of a surprise. Old crop ending stocks are guessed at around 200 million bushels, but there's a near 100 million difference between the highest and lowest guess. Nov 16 Soybeans settled at $9.52 1/2, up 7 1/4 cents; Jan 17 Soybeans settled at $9.58 3/4, up 7 1/4 cents; Oct 16 Soybean Meal settled at $299.30, up $1.70; Oct 16 Soybean Oil settled at 33.12, unchanged. Corn: The corn market closed around 2-3 cents higher, correcting some of yesterday's losses in "Turnaround Tuesday" style. Spillover support came from rallying beans and wheat. Good demand also supports - US corn export inspections have been above 1 MMT for 17 weeks in a row now following yesterday's numbers. US harvest pace is running behind average but there's time to catch up. US growers are capable of harvesting 25% of the crop in a week if the weather plays ball. 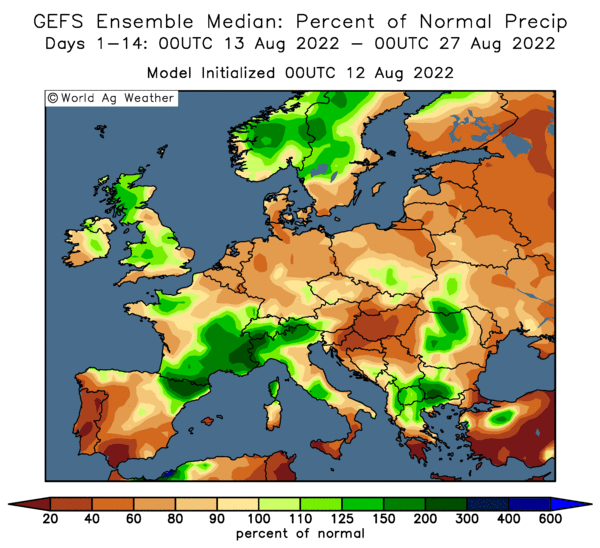 The EU Commission's MARS lowered their forecast for EU corn yields this year from 7.23 MT/ha a month ago to 6.84 MT/ha, although that's still more than 6.31 MT/ha a year ago. France was cut to 7.65 MT.ha versus 8.36 MT/ha a year ago and 9.11 MT/ha for the 5-year average. Ukraine's 2016 corn harvest is 15% done at 3.17 MMT. Russia's is 20% complete at 3 MMT. China offered 1.2 MMT of corn at auction today but picked up no interest. Dec 16 Corn settled at $3.31 3/4, up 2 3/4 cents; Mar 17 Corn settled at $3.41 3/4, up 2 3/4 cents. Wheat: The wheat market closed with decent gains. Short covering was noted. There's some talk of quality perhaps becoming an issue for Canadian and Australian wheat, but there's little hard evidence of this yet. Trade gossip suggests a shortage is quality wheat is looming this year. Some say that growers with quality wheat are hanging onto it. Others say they simply haven't got it. Japan are in for 125,800 MT of US/Canadian wheat in their regular Tuesday tender. Morocco tendered for more US SRW. Ukraine winter wheat is said to be 33% planted. Russia is about 62% done. MARS lowered EU-28 soft wheat yields to 5.63 MT/ha from 5.86 MT/ha a month ago. French yields were cut to 5.62 MT/ha versus 7.92 MT/ha in 2015 and 7.34 MT/ha for the recent average. Argentina has turned cold and dry. "Temperatures in Argentina are quite cold with widespread freezing temperatures this week that could impact some of the developing wheat crop," said Dr Cordonnier. Dec 16 CBOT Wheat settled at $4.04, up 8 cents; Dec 16 KCBT Wheat settled at $4.19 1/4, up 5 1/4 cents; Dec 16 MGEX Wheat settled at $5.02 3/4, up 8 1/4 cents. 27/09/16 -- EU grains closed mostly a little higher as the EU Commission's MARS unit lowered their forecast for EU wheat, corn and barley yields this year. The day ended with Nov 16 London wheat up GBP0.10/tonne at GBP125.75/tonne, Dec 16 Paris wheat was up EUR1.50/tonne at EUR161.50/tonne, Nov 16 corn was unchanged at EUR160.50/tonne and Nov 16 Paris rapeseed was up EUR1.50/tonne to EUR375.25/tonne. MARS cut average EU-28 corn yields from the 7.23 MT/ha predicted last month to 6.84 MT/ha. "In many regions, the analysis period (Aug 21-Sep 23) was one of the warmest on our records. 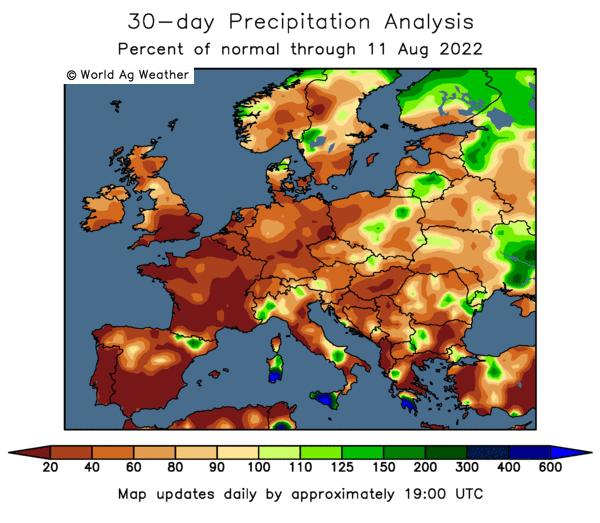 Hot and dry conditions in eastern Romania, Bulgaria and southern Ukraine as well as in southern France and western Italy partially affected water supply and shortened the duration of grain filling in maize and sunflower crops, thus reducing yield expectations," they said. Corn yields in France, Europe's largest producer, were pegged at only 7.65 MT/ha versus 8.36 MT/ha a year ago and 9.11 MT/ha for the 5-year average. EU soft wheat yields were estimated at 5.63 MT/ha from 5.86 MT/ha a month ago. French yields were cut to 5.62 MT/ha versus 7.92 MT/ha in 2015 and 7.34 MT/ha for the recent average. EU barley yields were also lowered from 4.85 MT/ha to 4.77 MT/ha, although those for rapeseed were left unchanged at 3.20 MT/ha. 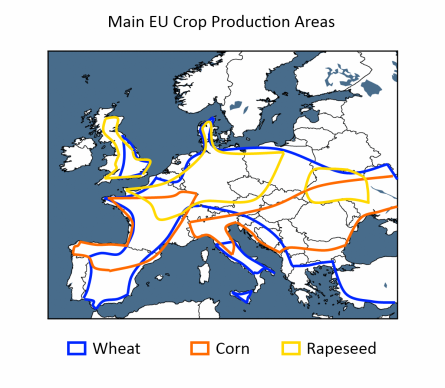 In the UK, wheat yields were estimated at 8.08 MT/ha, barley yields at 6.08 MT/ha and rapeseed yields at 3.30 MT/ha. In Ukraine, winter wheat for the 2017 harvest is said to be 33% planted, and winter OSR 94% done. Grain harvesting is 74% complete at 42 MMT, including a corn harvest that's 15% done at 3.17 MMT. Russian winter plantings are 62% complete on 10.8 million ha (10.1 million this time last year). The Russian harvest is 88% complete at 109.2 MMT in bunker weight. That includes 73.9 MMT of wheat, 18.6 MMT of barley and 3 MMT of corn so far. There's talk of heavy rain possibly causing late damage to the Australian wheat crop just before they begin harvesting. Eastern areas are set to receive up to 100mm of rain in the coming days, according to the forecasters. "It is still early days, but if these worries are realised, Australian quality issues would follow similar issues reported in many of the world’s main wheat producing/exporting regions, such as Russia. Global feed grain markets, already feeling the pressure of expected record world supplies, could become even heavier," say the HGCA. Sterling dropped to a 3-year low against the euro today, which should underpin London wheat going forward. 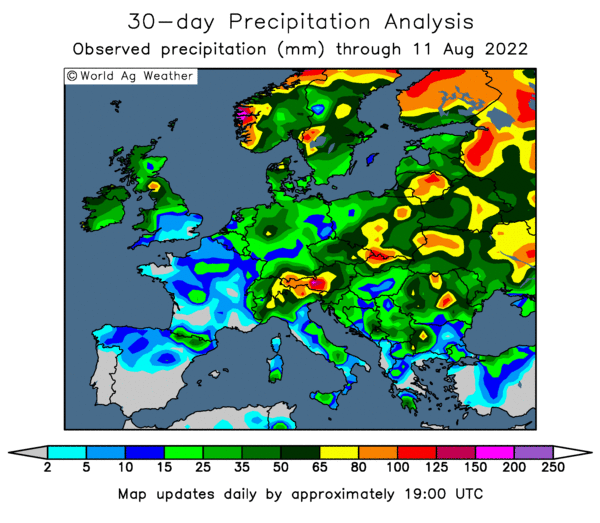 Dry conditions across many parts of Europe and Ukraine are said to be causing emergence problems for newly planted winter crops, rapeseed in particular. Corn: The market closed around 7 cents lower despite weekly export inspections of 1.335 MMT. That was nearly 65% larger than the same week a year ago. The forecast for better harvest weather across the next 10 days was however the deciding factor. The USDA said that harvesting of this year's crop was 15% complete as of Sunday night, 4 points behind the 5-year average. Crop conditions were left unchanged at 74% good to excellent. They said that 73% of the crop is mature (64% on average) and that 97% of the crop is dented, one point ahead of the norm. Early French corn yields are "confirming a disappointing season" and the harvest there might now struggle to reach 12 MMT, said Agritel. That would be more than 1 MMT below last year. High temperatures will cut this year's Romanian corn crop to "no more than" 8.75 MMT, according to one analyst. Production last year was 12 MMT. The USDA's FAS in the Philippines said that the country might produce 7.9 MMT of corn this year (7.5 MMT a year ago). Imports in 2016/17 are seen at 0.9 MMT versus only 0.1 MMT in 2015/16. Dec 16 Corn settled at $3.29, down 7 1/2 cents; Mar 17 Corn settled at $3.39, down 7 1/4 cents. Wheat: The wheat market closed sharply lower. Weekly export inspections of 875,049 MT were impressive (up more than 150% from the previous week) but, as with corn, largely ignored. The USDA reported winter wheat planting at 30% done, in line with the 5-year average and trade expectations. Emergence was placed at 8%, also in line with normal. In Brazil, the state of Parana's wheat harvest is said to be 22% done and quality very good this year. That would be detrimental to US export hopes. The Russian Ag Ministry increased their forecast for wheat production there this year to 71 MMT, estimating a total clean weight grain crop of 113 MMT which easily beats the post-Soviet era record of 108 MMT set in 2008. Planting for the 2017 harvest (mostly wheat) is already nearly 60% complete. Russian grain exports have thus far been slow though at 7.83 MMT to Sep 21, a 9% decline versus the same period in 2015/16. Exports were though much better last week at 747.4 TMT versus a poor 229.4 TMT the previous week. Some 595.3 TMT of that was wheat. Dec 16 CBOT Wheat settled at $3.96, down 8 3/4 cents; Dec 16 KCBT Wheat settled at $4.14, down 7 1/2 cents; Dec 16 MGEX Wheat settled at $4.94 1/2, down 9 1/4 cents. 26/09/16 -- EU grains closed mostly lower to start the week. Fresh news was relatively scarce. At the close Nov 16 London wheat was down GBP1.05/tonne at GBP125.65/tonne, Dec 16 Paris wheat was EUR1.25/tonne weaker to EUR160.00/tonne, Nov 16 Paris corn was down EUR2.25/tonne at EUR160.50/tonne, Nov 16 Paris rapeseed was EUR2.00/tonne lower at EUR373.75/tonne. 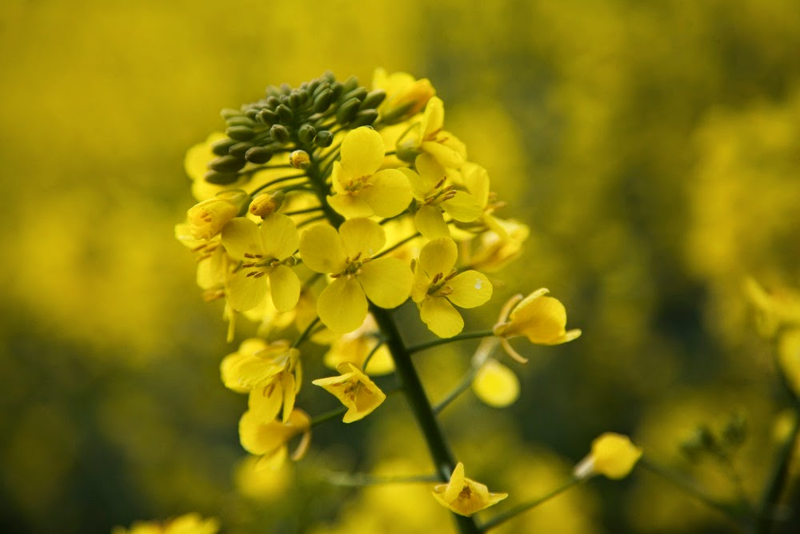 Rapeseed remains range-bound, having only closed outside the EUR370-380/tonne area once since Aug 12. That seems more heavily influenced by palm oil and soybean prices than rapeseed S&D fundamentals which are tight. Early French corn yields are "confirming a disappointing season" and the harvest there might now struggle to reach 12 MMT, said Agritel. That would be more than 1 MMT below last year. Spain on the other hand is expecting a total grain harvest 28% higher than a year ago at 23.82 MMT, according to the Spanish Co-operatives Association. They see wheat output (excluding durum) at 6.93 MMT versus 5.24 MMT a year ago and are forecasting a barley crop of 9.52 MMT (6.85 MMT in 2015). Corn production will however be lower due to a reduction in acreage (3,73 MMT from 3.98 MMT a year ago). The Russian Ag Ministry increased their forecast for wheat production there this year to 71 MMT, estimating a total clean weight grain crop of 113 MMT which easily beats the post-Soviet era record of 108 MMT set in 2008. Planting for the 2017 harvest is already nearly 60% complete. Russian exports have thus far been slow though at 7.83 MMT to Sep 21, a 9% decline versus the same period in 2015/16. How much of this is due to the now rescinded wheat export tax, or a lack of quality, remains to be seen. Certainly some of this could be attributed to Egypt's recent shenanigans re ergot. Russia's exports via seaports did pick up last week, at 747.4 TMT versus a poor 229.4 TMT the previous week. Some 595.3 TMT of that was wheat. Ukraine's exports continue unabated, with their seaports shipping out 648.4 TMT of grains last week, according to APK Inform. That's up from 596.1 TMT the previous week and was mostly (575.9 TMT) wheat. Top home was Morocco 145 TMT followed by Saudi Arabia (59.9 TMT). High temperatures will cut this year's Romanian corn crop to "no more than" 8.75 MMT, according to one analyst. Production last year was 12 MMT.